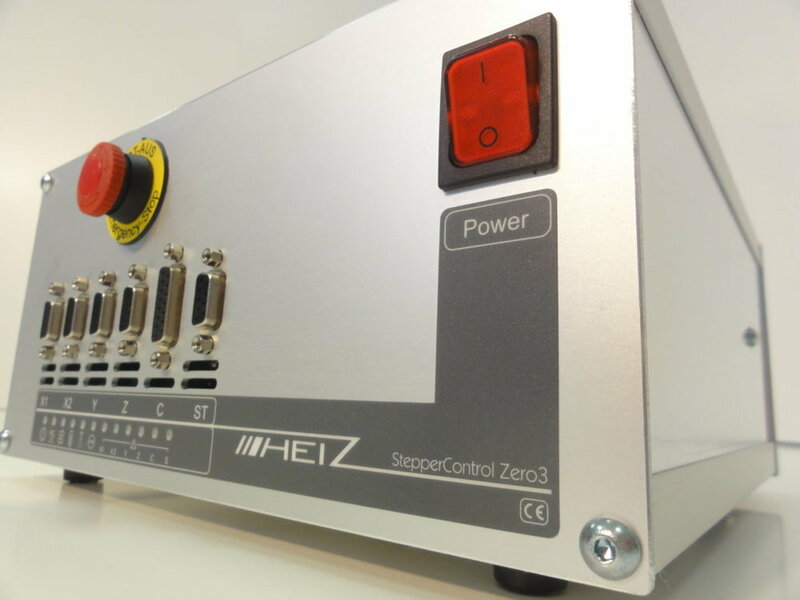 Zero3 is a high performance low cost 5 channel CNC controller that is offered with all our High-Z and T-Rex CNC machines. 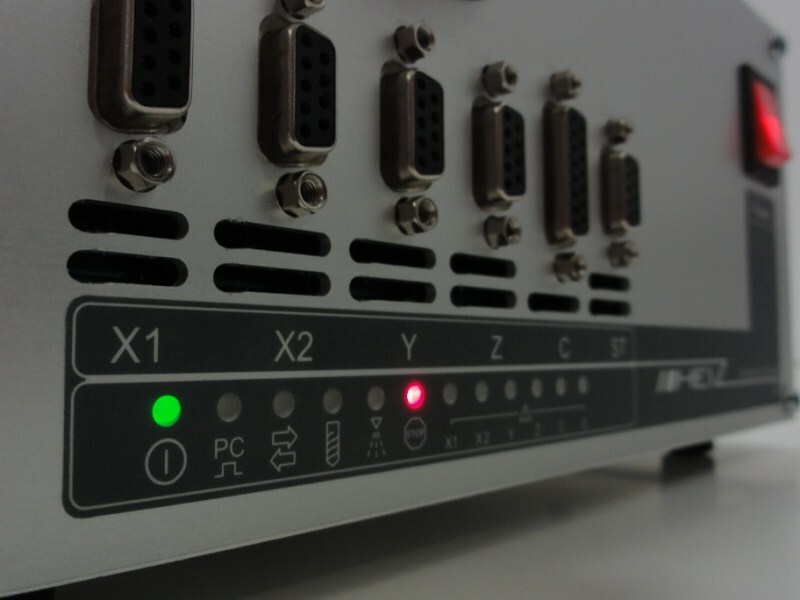 The Zero3 controller is included with all our machines. With SMD motor control for 4 axes (2X, 1Y, 1Z, and 1C), it is perfectly designed for our High-Z and T-Rex CNC machines. 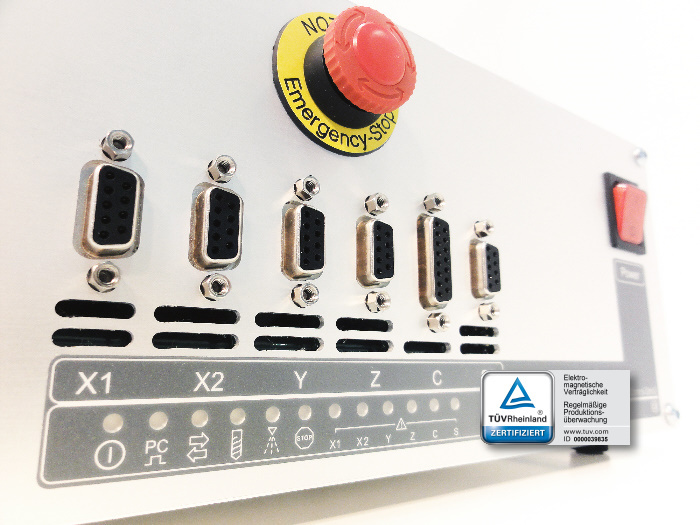 The Zero3 5-channel controller gives you premium stepper motor control with USB connection for all of our CNC machines. With the fifth channel you can control a fourth motor, for instance a 4th axis (rotary axis) or a tangential cutter. Each channel proves 3.5 A phase current. By using 4.2 A bipolar parallel stepper motors there is no risk of overheating the motors and a quiet smooth operation is ensured. The system runs on 110, 220, 230, or 240 V interchangeably within a frequency range of 48 - 64 Hz. If you don't want to use WinPCNC USB or KineticNC to control your machine, there are other options. Some people run our machines with USBCNC, Mach3, Linux EMC, or LINUX CNC. With the 24V PWM port it is easy to add peripheral CNC equipment for rotary engraving of photos, dispensing applications, laser engraving, or tangential cutting. It is also possible to control a holding break for motors with this port. There are two power sockets with on/off relay at the back of the controller, and you can control them via software with M-code. Each socket can power equipment up to 1800W / 8A. The most common tools used by these are a spindle and a spray mist cooling system. 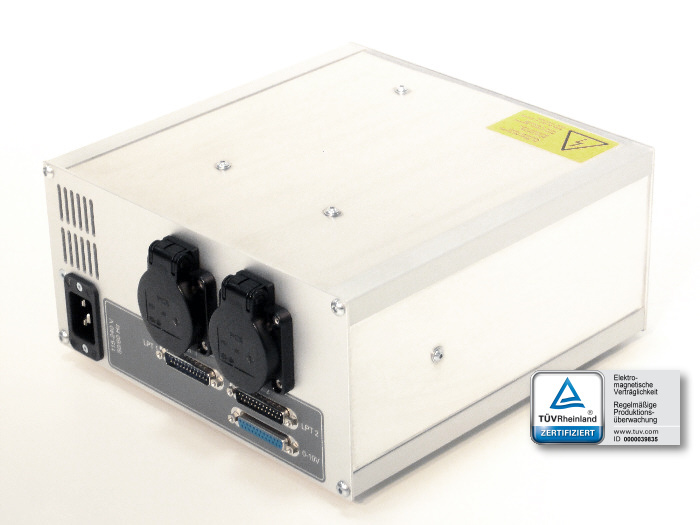 There is a 0-10 VDC relay for accessories such as the VFD of a High-Frequency spindle, a laser engraver, or our picture engraving unit for granite and glass. The stepper motor controller is short-circuit-proof and has additional protection against overheating. It also has an accessible emergency stop button right on the front.